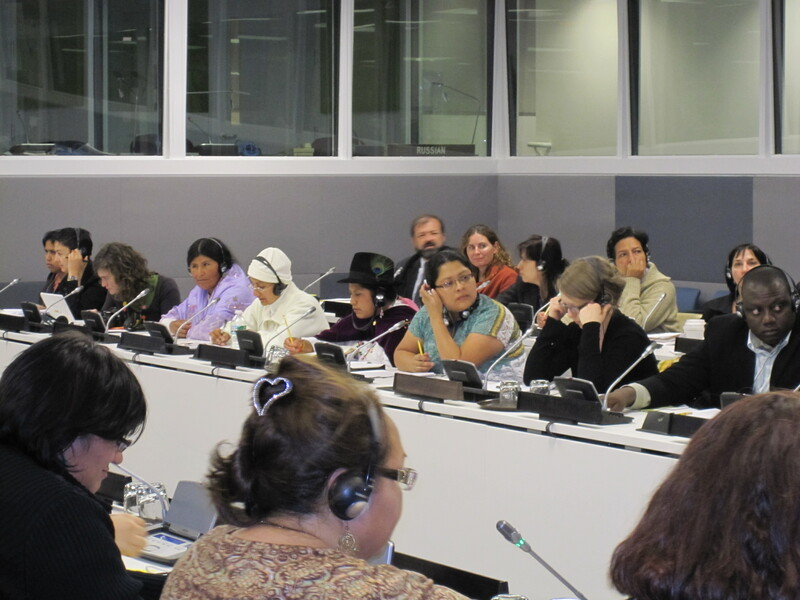 Indigenous women from around the world are ensuring their voices and unique experiences are also being heard at CSW. On Wednesday the International Fund for Agricultural Development and the International Indigenous Women’s Forum convened a panel “Indigenous women working for change and moving ahead since 1995”. Speakers included Tarcila Rivera Zea (Peru), Victoria Haraseb (Namibia), Govind Kekar (India) and Megan Davis (Australia). One of the key themes that arose was the lack of access to education. Tarcilia from Peru called for the allocation of aid to strengthen the traditional knowledge of indigenous women – affirming local knowledge and supporting women to be in a position to transmit that knowledge to another generation. Megan, a Cobble Cobble Aboriginal woman from South East Queensland, spoke of the recently announced Australian National Congress of Australia’s First Peoples. This congress has a mandated requirement of 50% representation from women. Megan noted that while this was a significant win, it does not mean the job is done. We cannot let men think there is equality now, as there are still underlying and hidden issues that will impact on women’s participation in the Congress. Megan is the Australian candidate for the UN Permanent Forum on Indigenous Issues. The forum concluded with a challenge for us all to examine ways we can ensure positive policies from one government to the next, as indigenous women often find hard fought for wins overturned following elections. And this linked back to the opening discussion about education, as Tracila reflected an education is needed to be able to participate in the political processes.